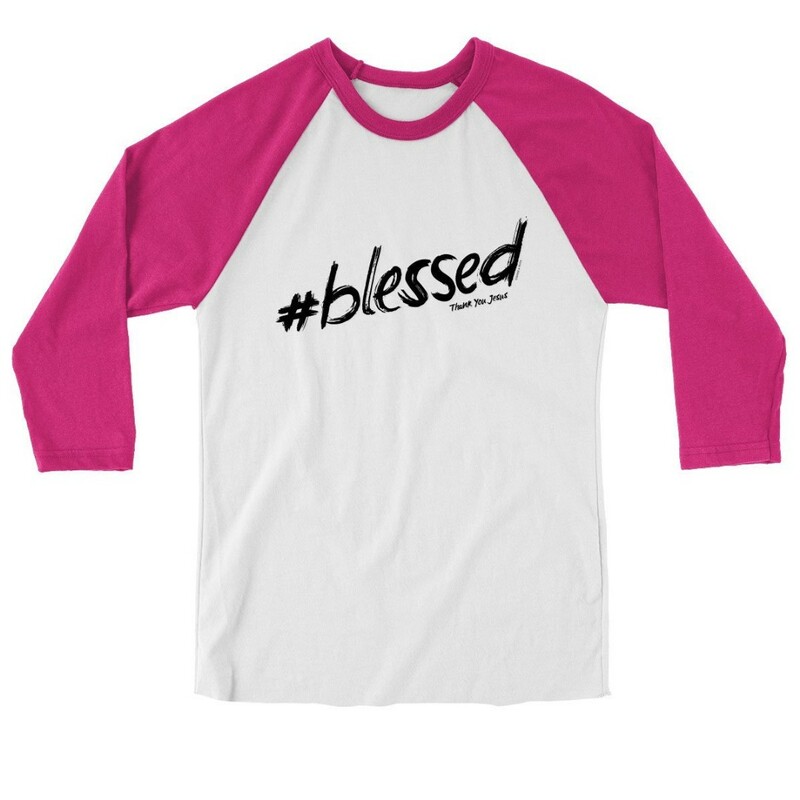 Share a status update with everyone you meet in this charming “Hashtag” Raglan T-shirt in White and Hot Pink by grace & truth®. You’ll love the sporty style and three-quarter-length sleeves, and you’ll look forward to sharing your faith every time you pull this sweet tee out of the closet. Philippians 4:19 says, “God will meet all your needs according to the riches of his glory in Christ Jesus.” It’s tempting to let the disappointments and challenges of our earthly lives bring us down, but God promises to meet all our needs...and as followers of Jesus, we are truly blessed. When we flip on the lights or run clean water from the tap, pick up the phone to call a loved one or hop online to share our opinion—all the daily activities we enjoy—these are blessings not everyone has available. We have been given so much, and we are indeed #blessed! It’s a message worth sharing on a T-shirt, on social media, and with everyone you meet. Hashtag Raglan T-Shirt, Medium was published by Kerusso in July 2018 and is our 7448th best seller. The ISBN for Hashtag Raglan T-Shirt, Medium is 612978462249. Be the first to review Hashtag Raglan T-Shirt, Medium! Got a question? No problem! Just click here to ask us about Hashtag Raglan T-Shirt, Medium.